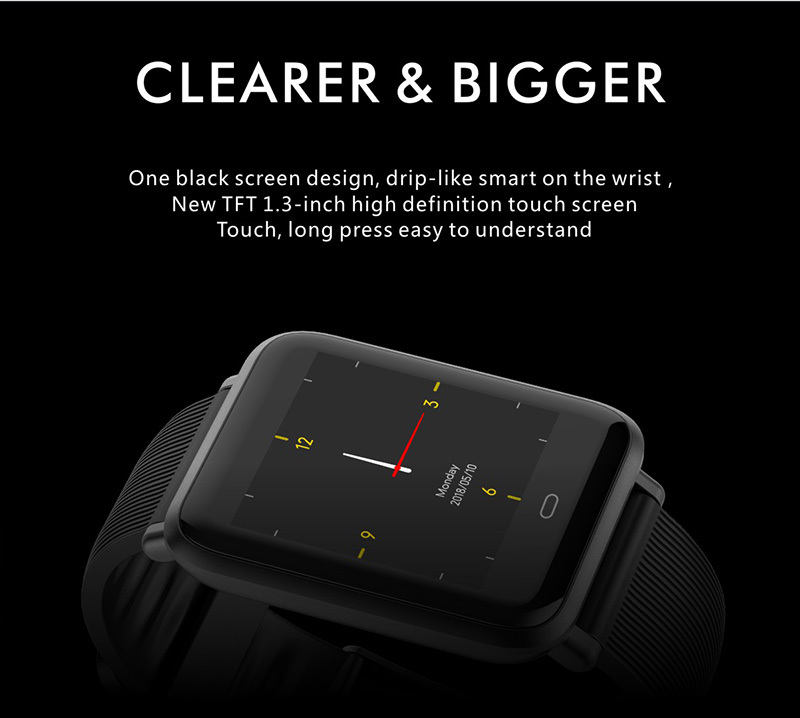 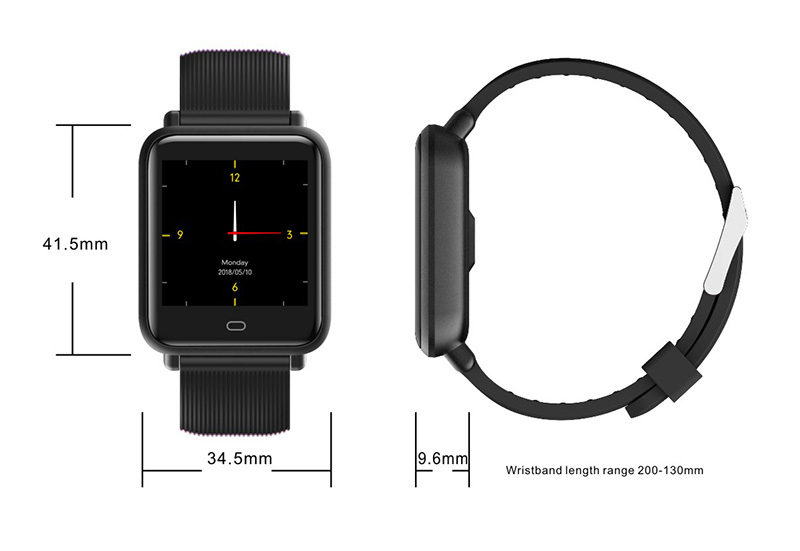 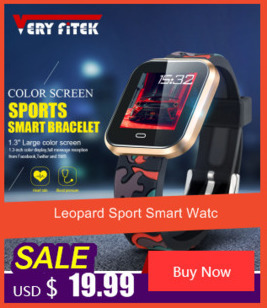 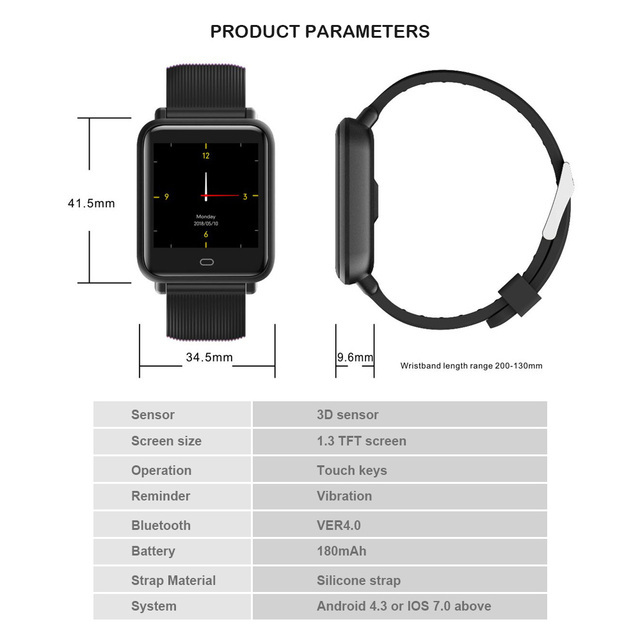 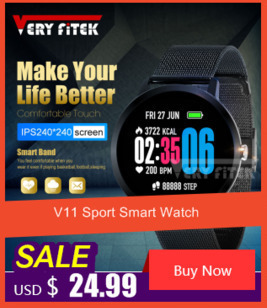 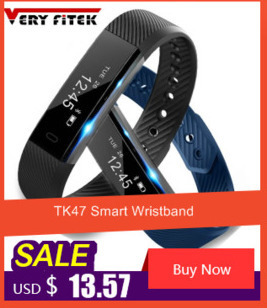 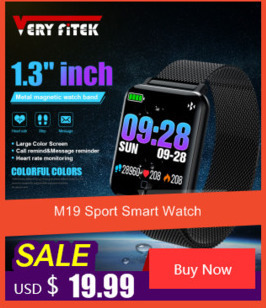 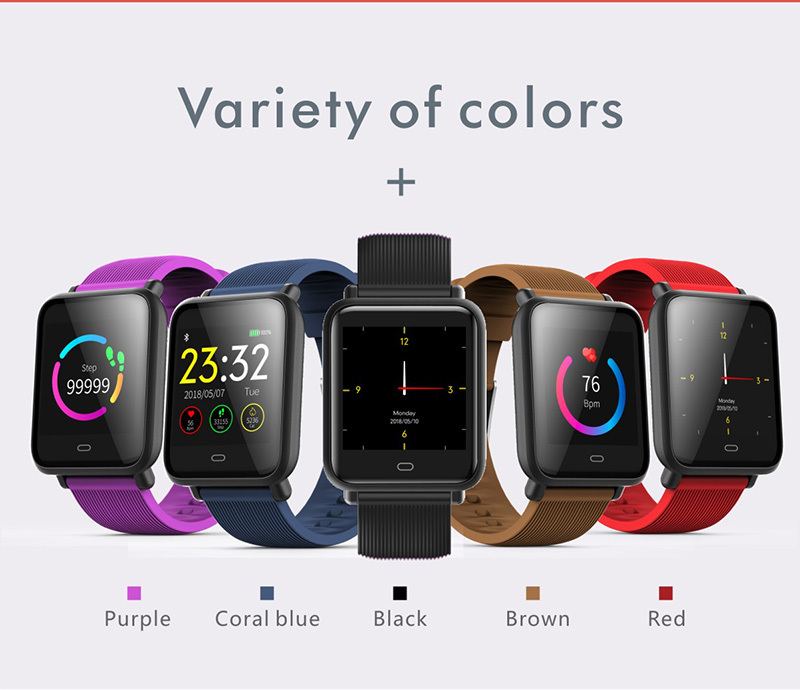 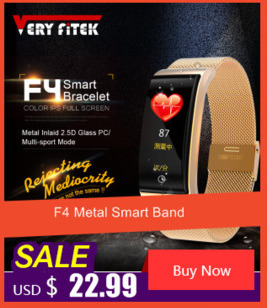 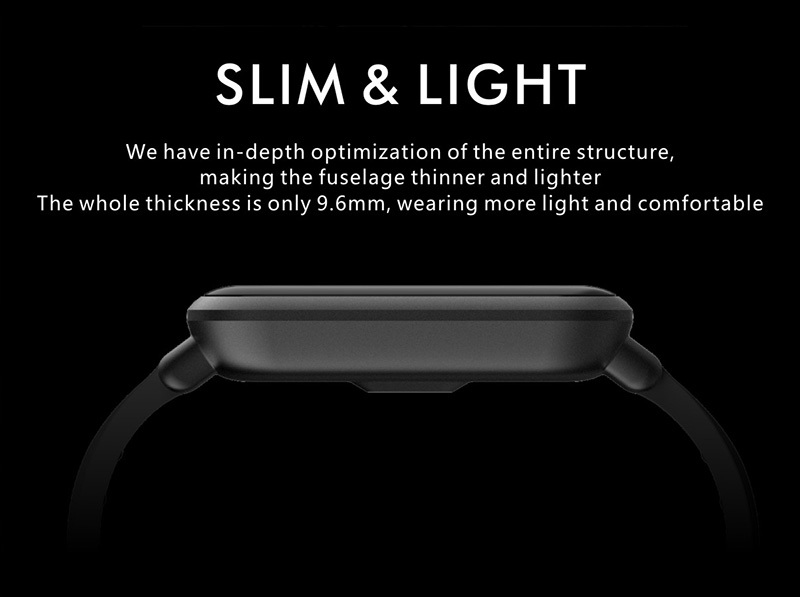 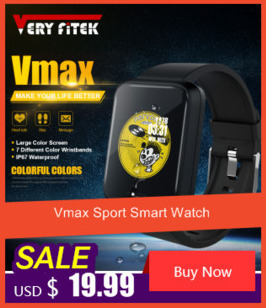 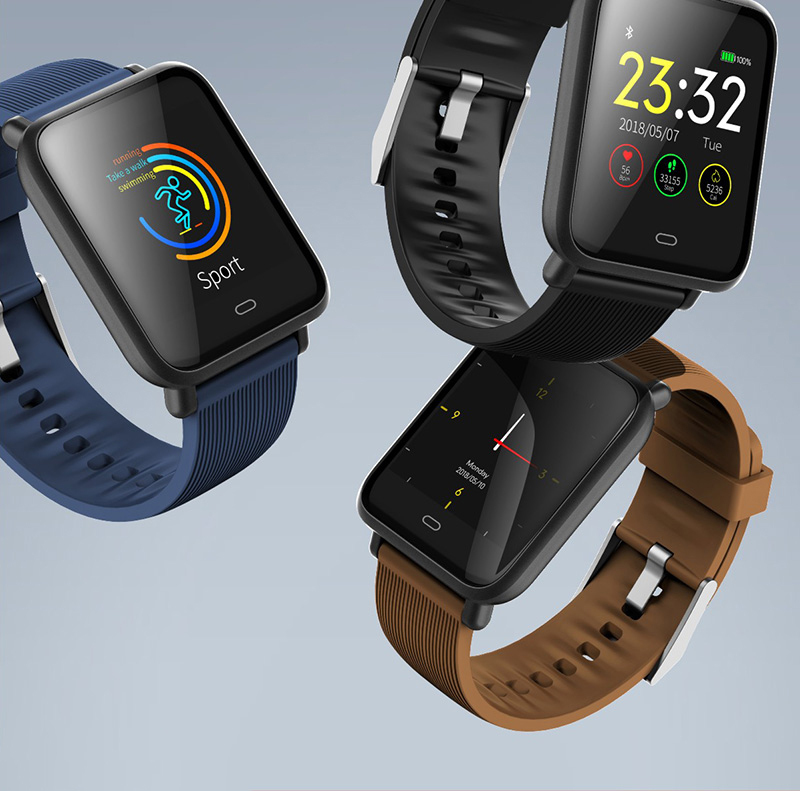 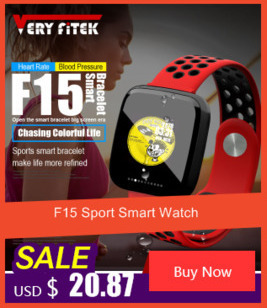 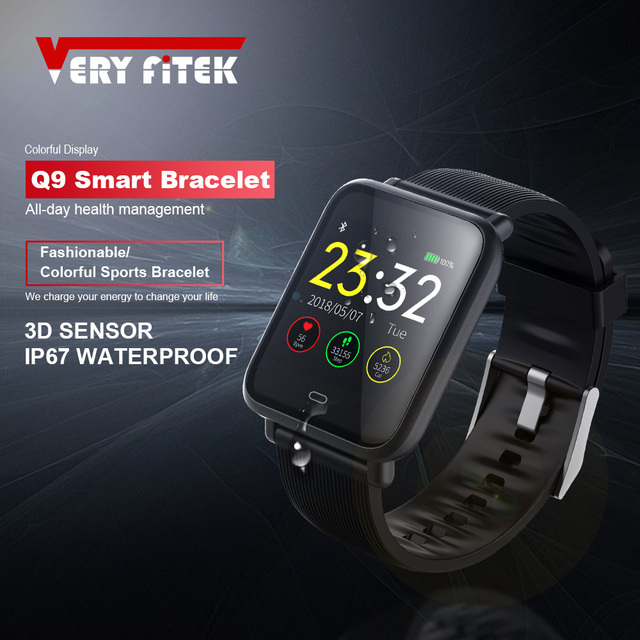 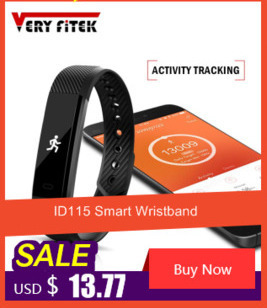 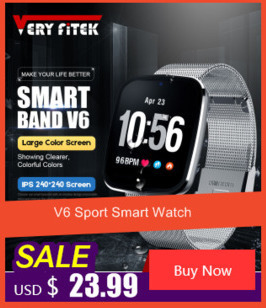 VERYFiTEK Q9 is a Multifunction Sport smart watch, 1.3 inch TFT screen gives you a better using experience. 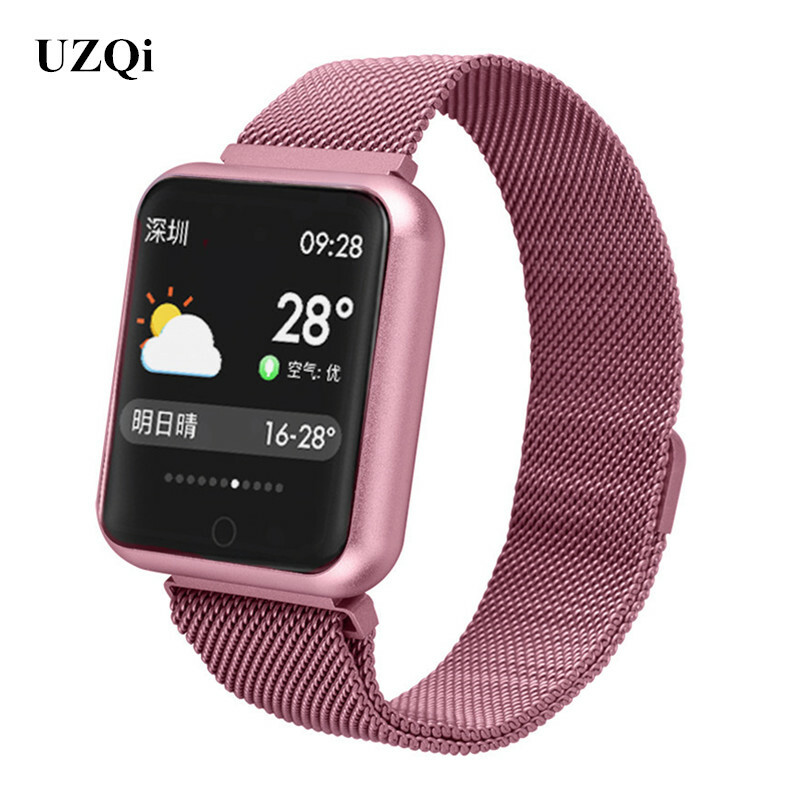 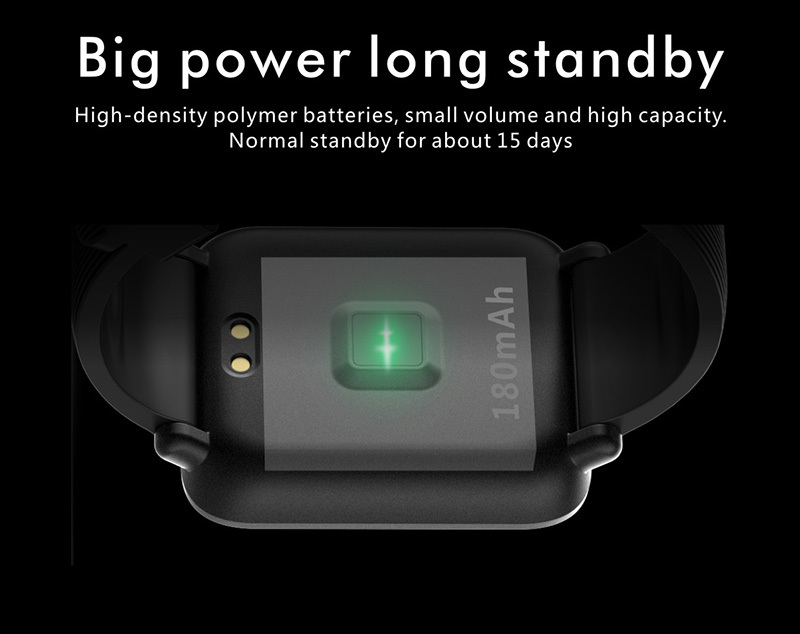 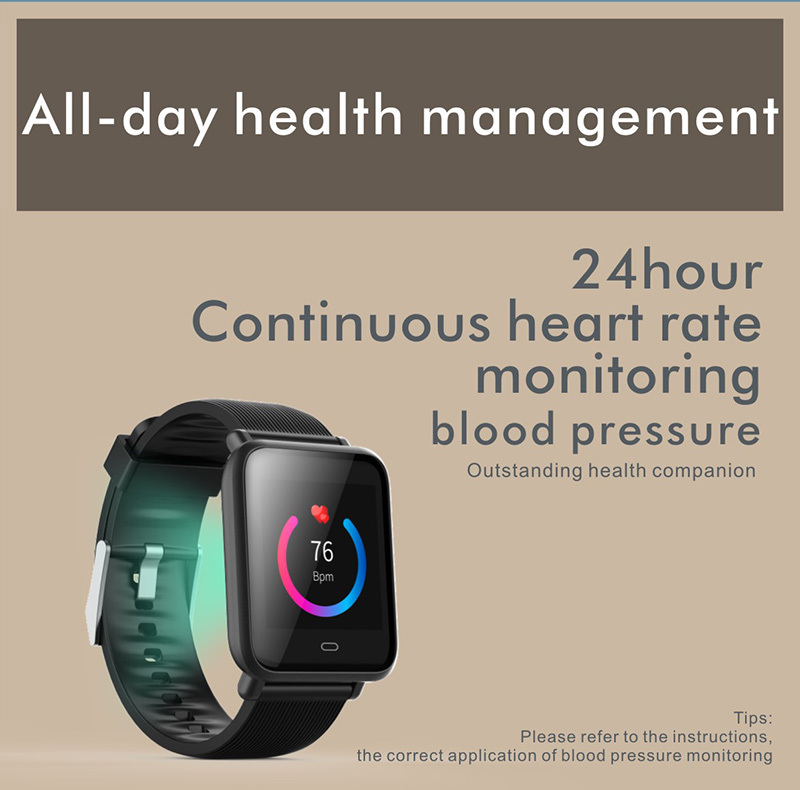 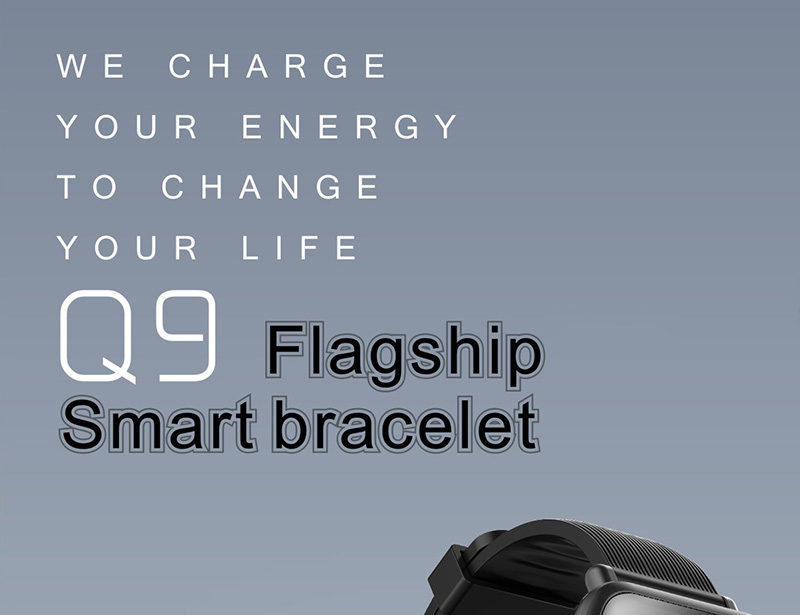 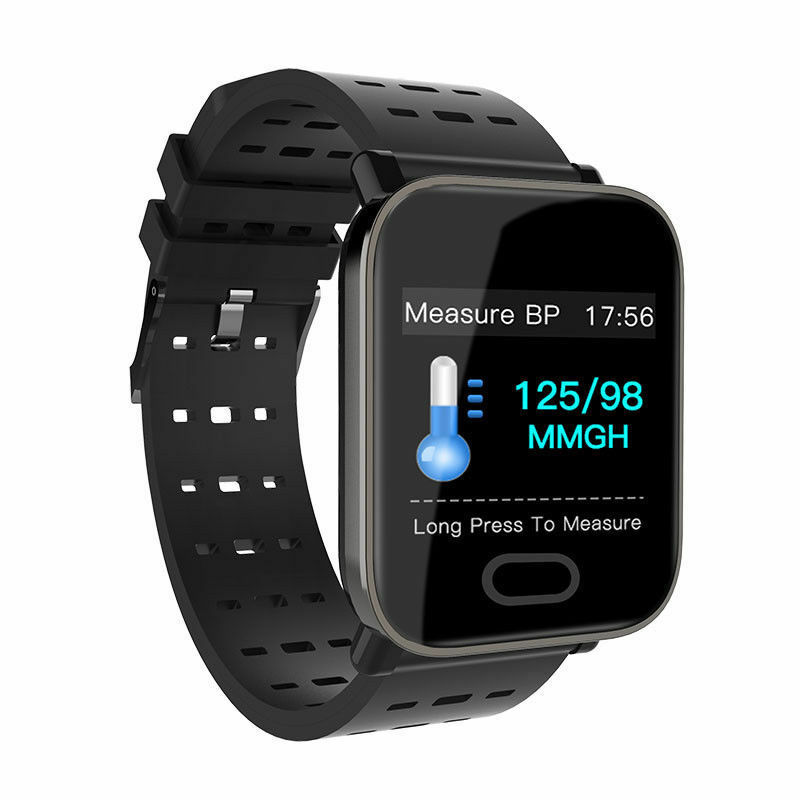 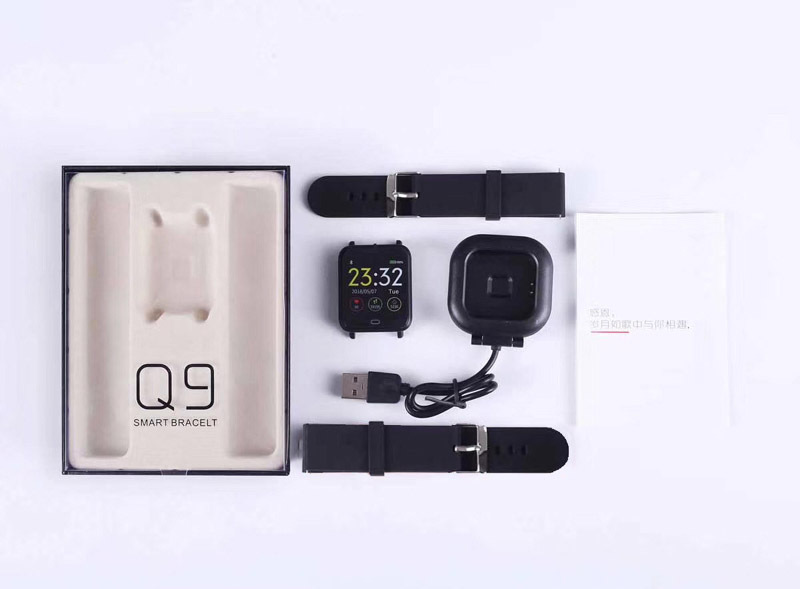 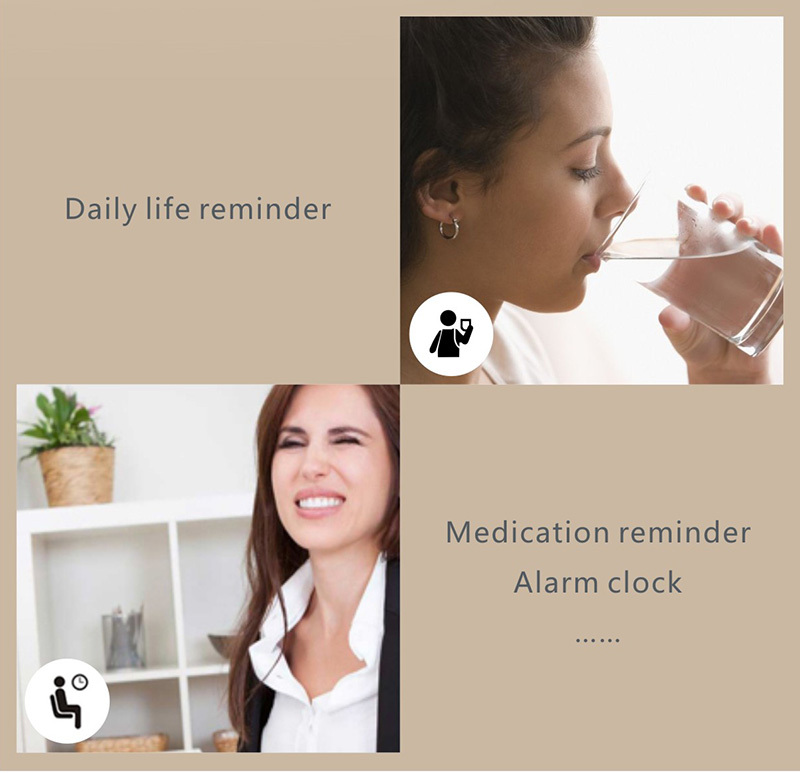 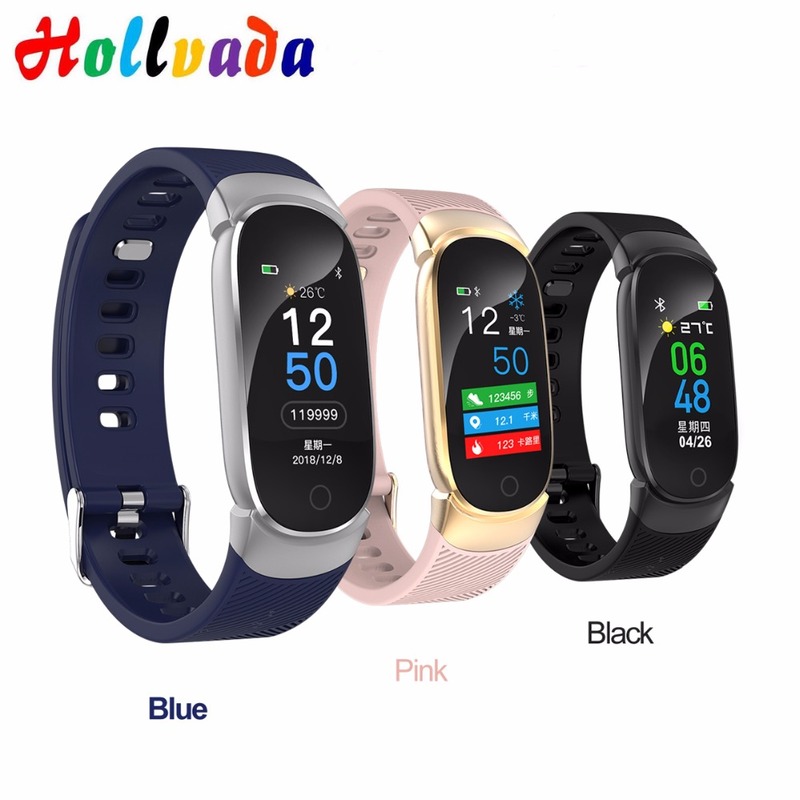 Q9 supports various sport mode monitor, continuous real-time heart rate monitoring and the measurement of blood pressure and blood oxygen, make you better understanding of their own health, more love and care for yourself. 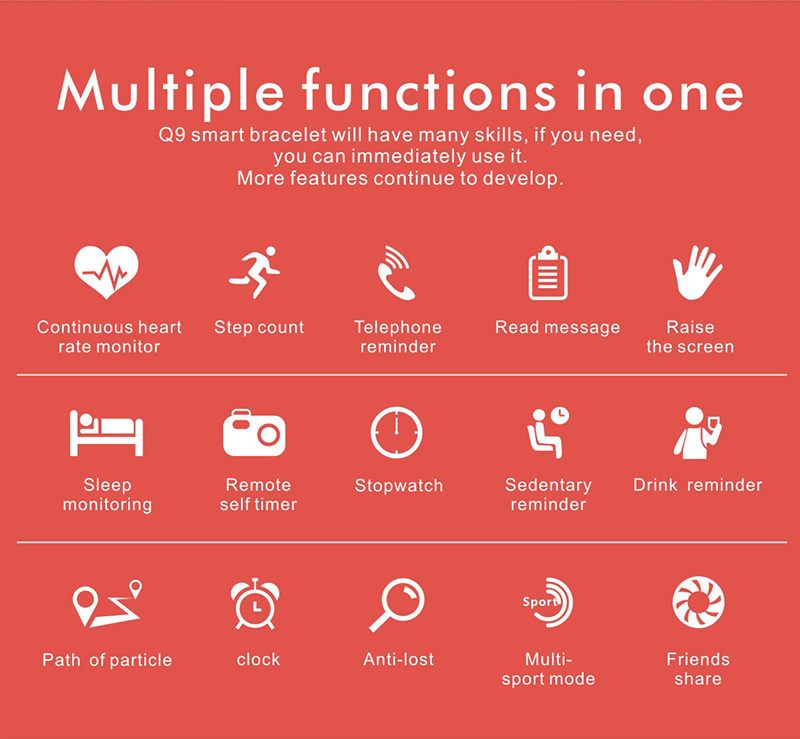 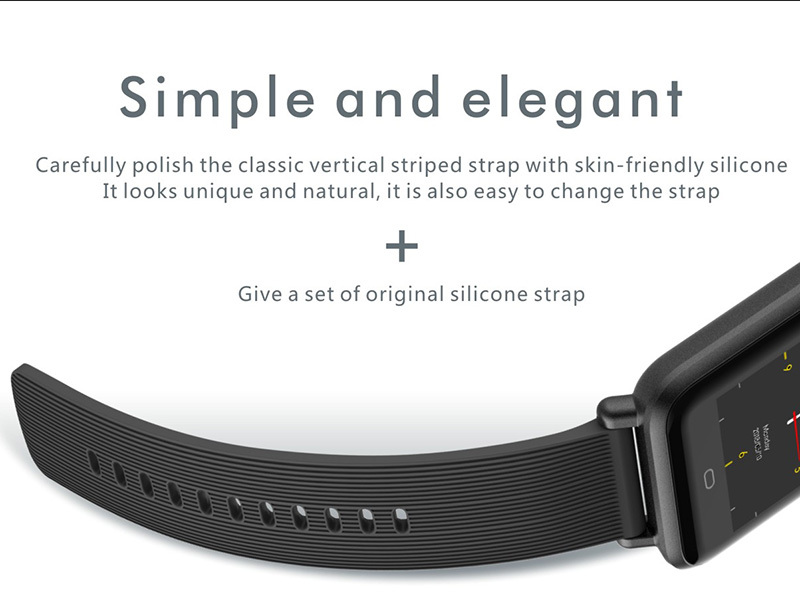 The bracelet not just record your exercise routine data such as distance, steps, calories burned, also automatically monitor your sleep quality during the night, help you develop a good habit. 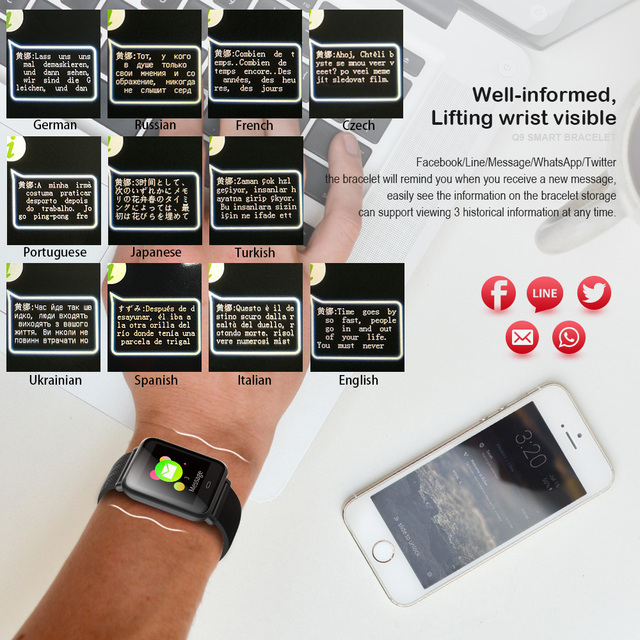 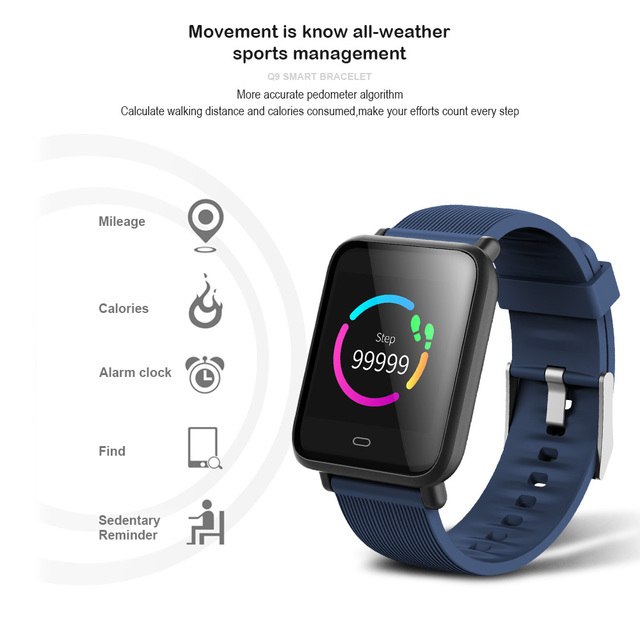 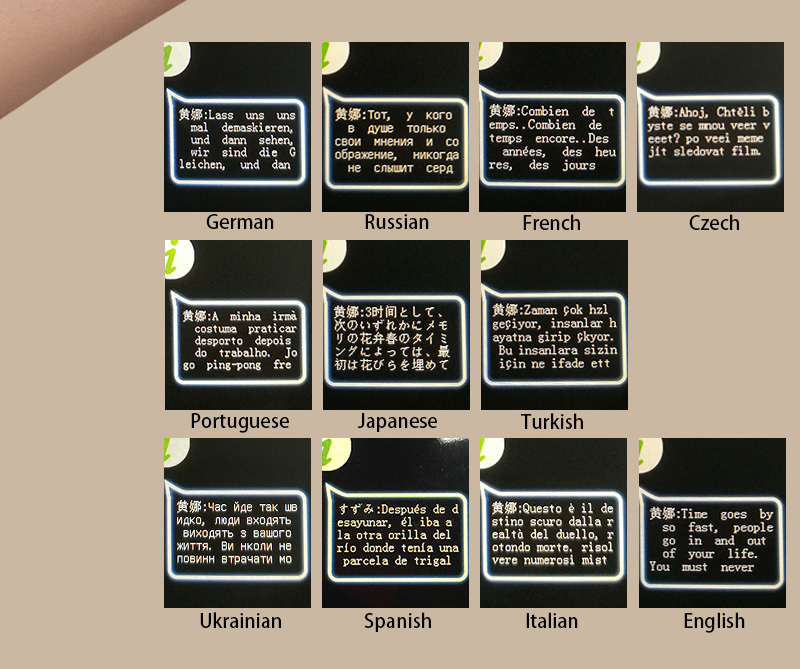 As a fitness helper, calls and message reminder(the message reminder support Multi-language display: Russian, English, Spanish, French, German, Italian, Portuguese,Ukrainian, Czech, Turkish, Japanese), you won’t miss anything important, no doubt, Q9 will be your more intimate sports partner! 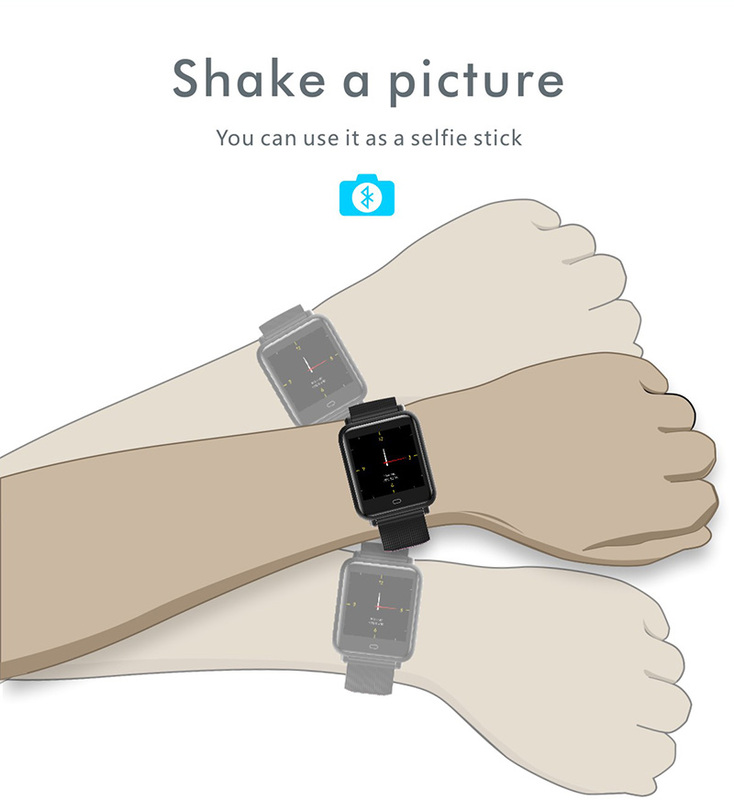 Press the touch area in the main interface to switch the dial directly. 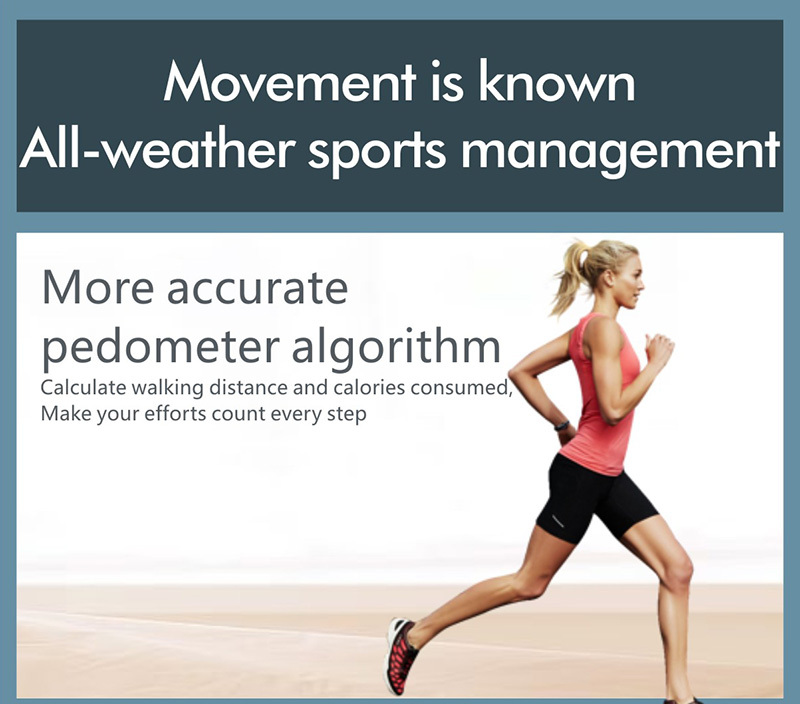 Press to enter the movement mode monitoring. 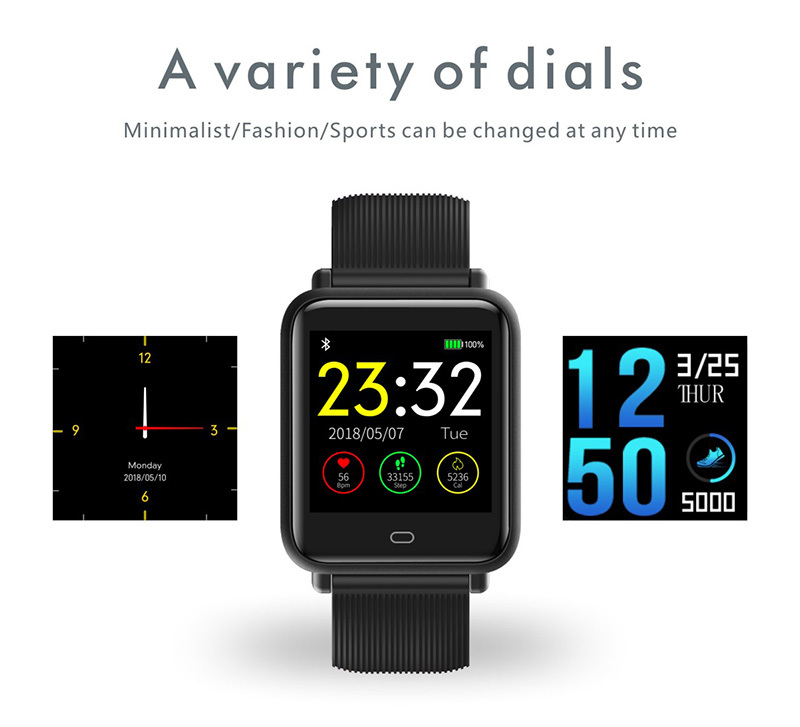 4 kinds of Sport Mode available. 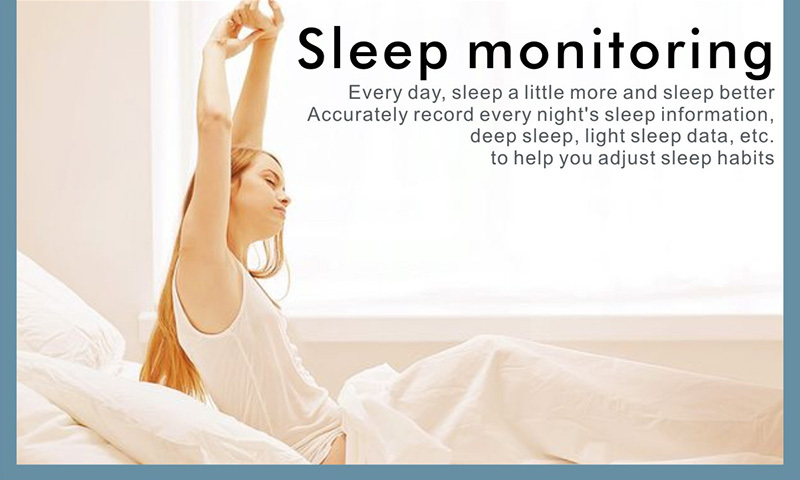 Wearing a bracelet to sleep, it can monitor the length of sleep, deep sleep and light sleep state. 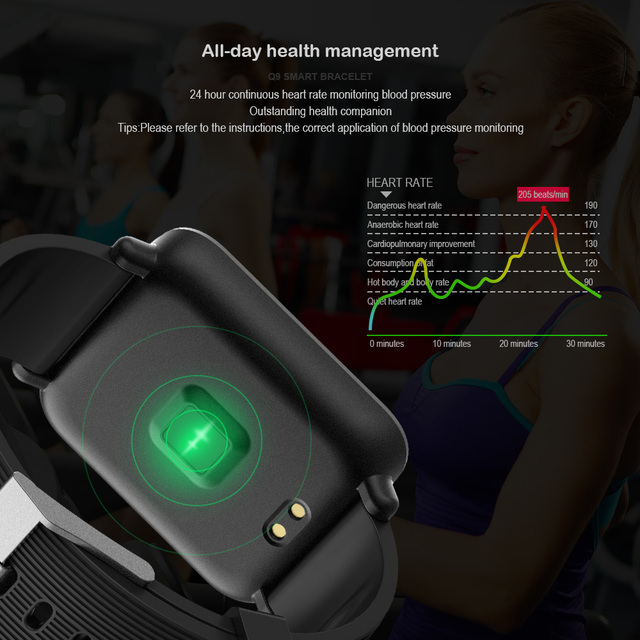 According to the data, you can adjust the sleep status, improve the health index. 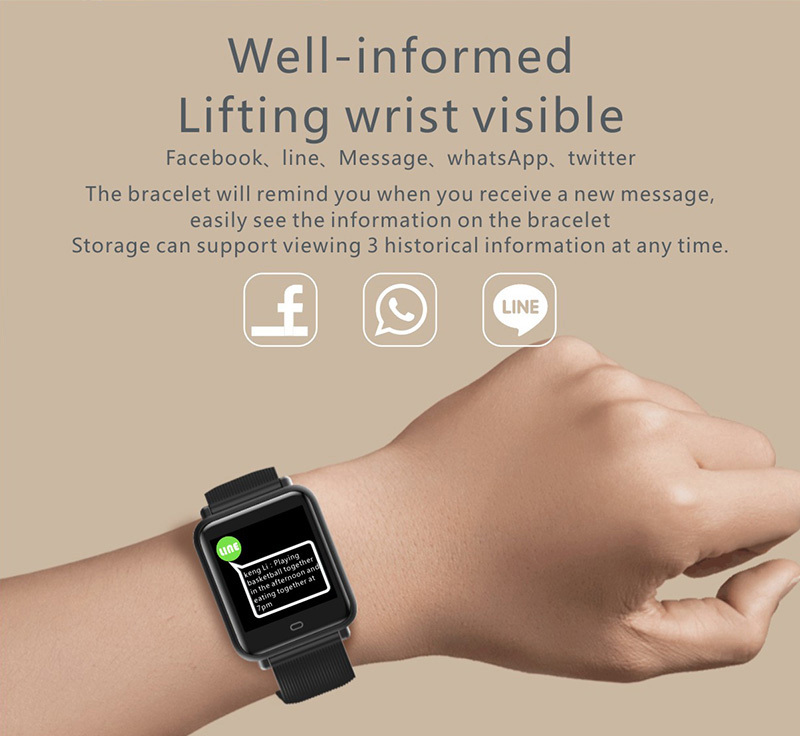 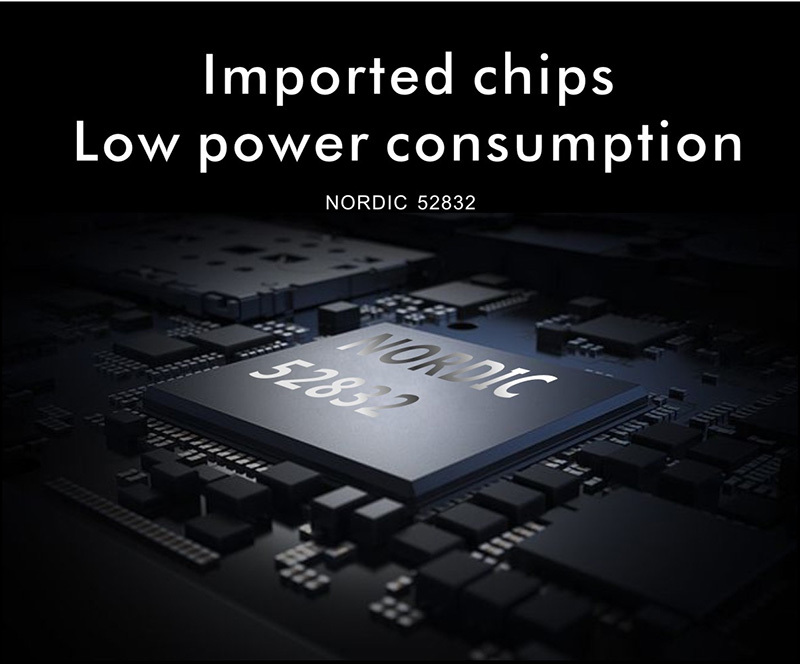 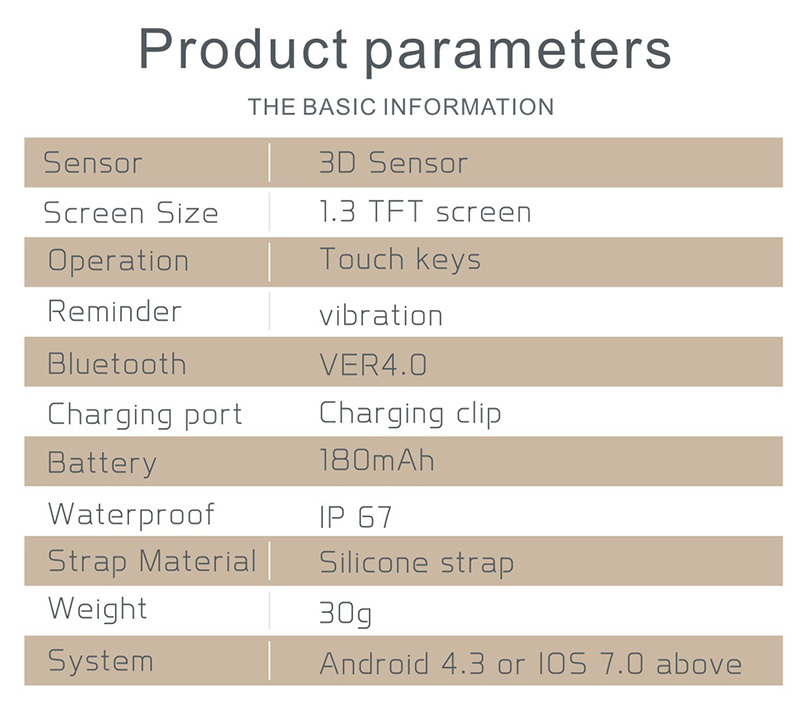 When there is new message, the device will vibrate to remind you and display the message on screen. 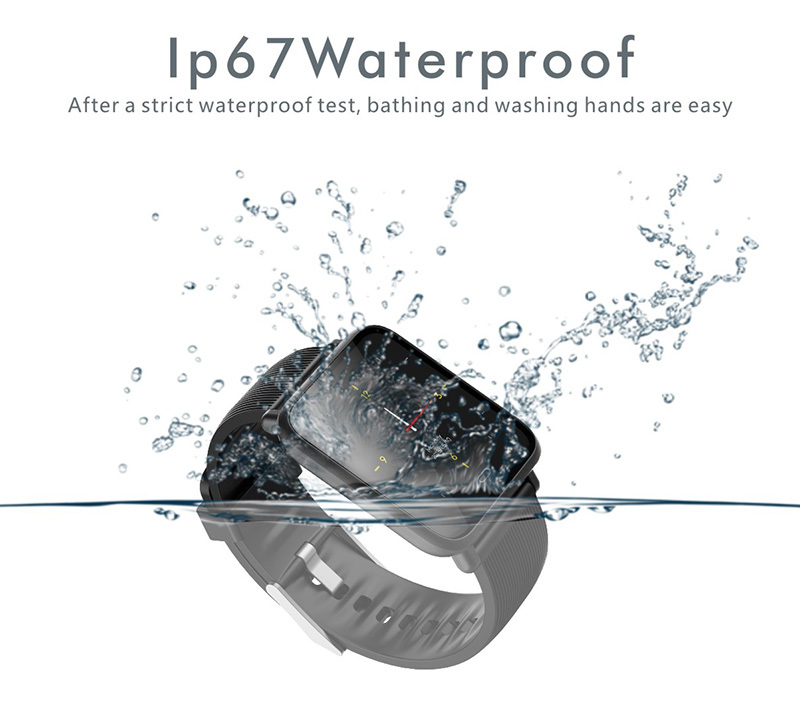 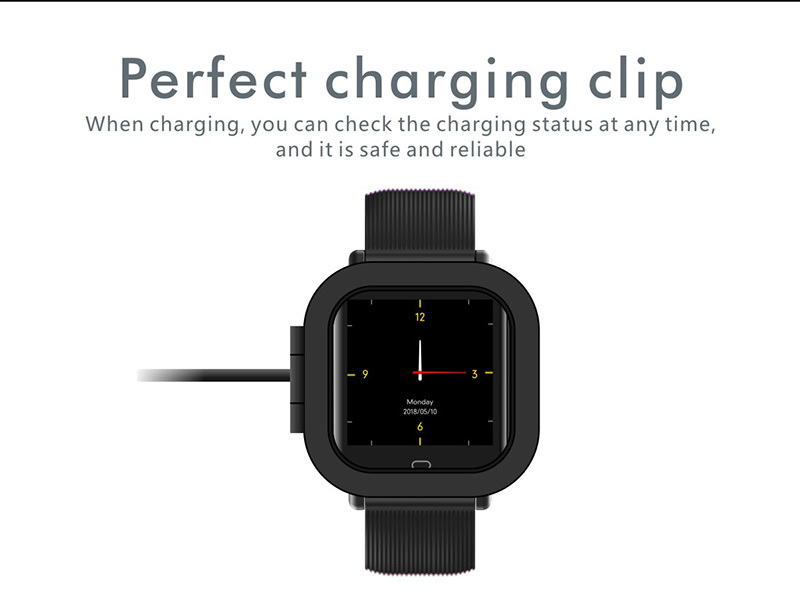 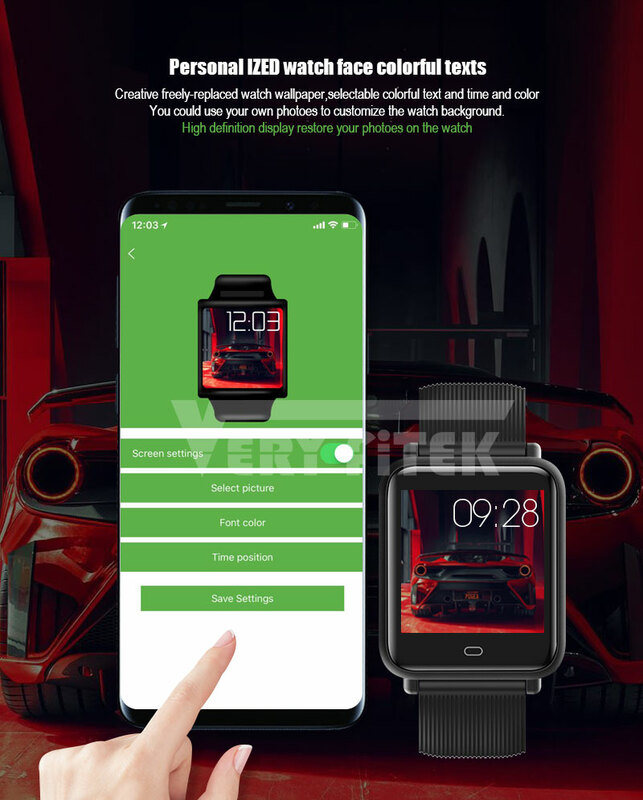 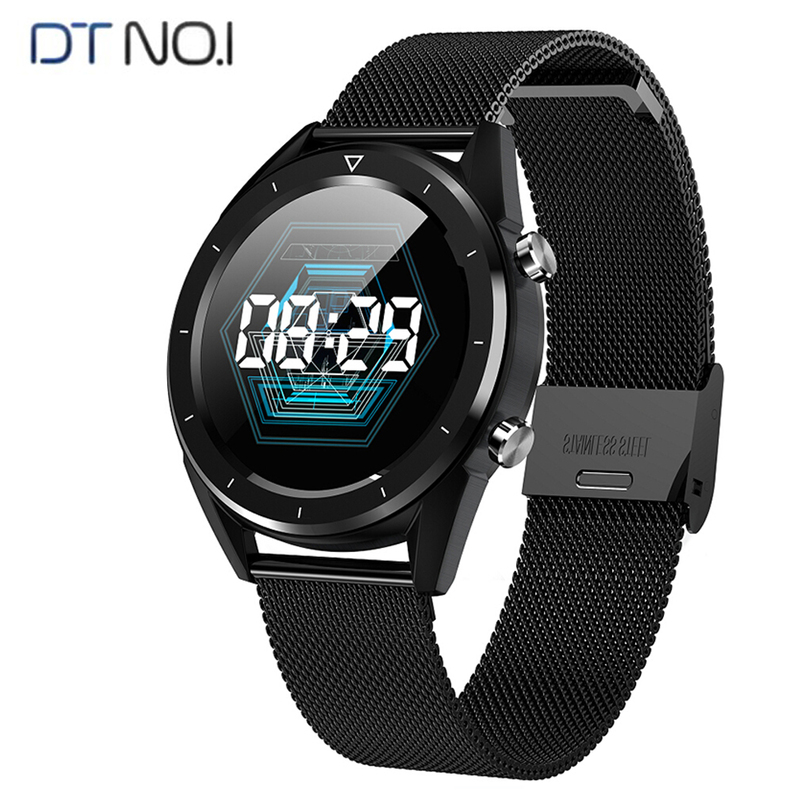 You could use your own photo to customize the watch wallpaper, High definition display restore your photoes on the watch. 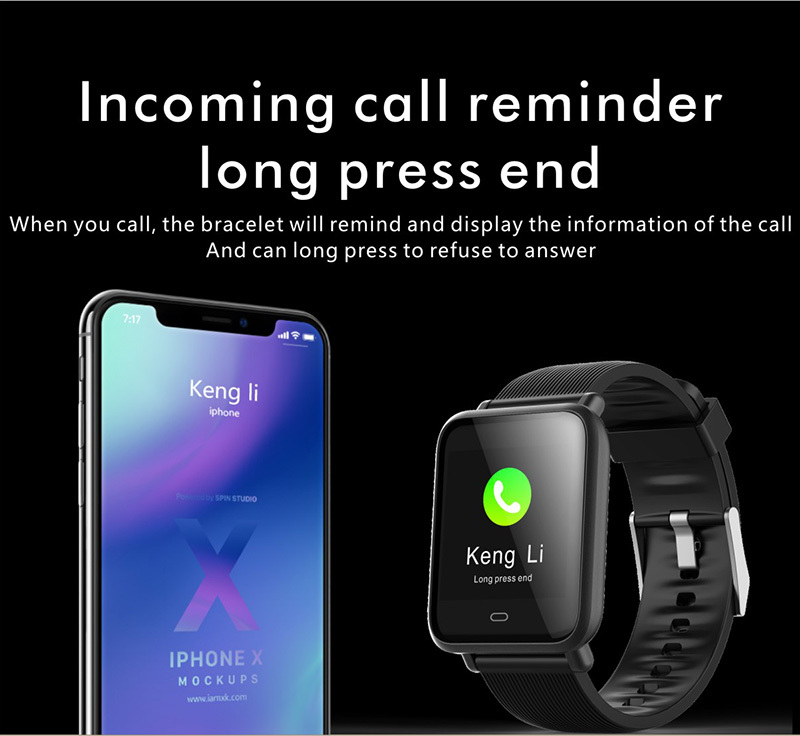 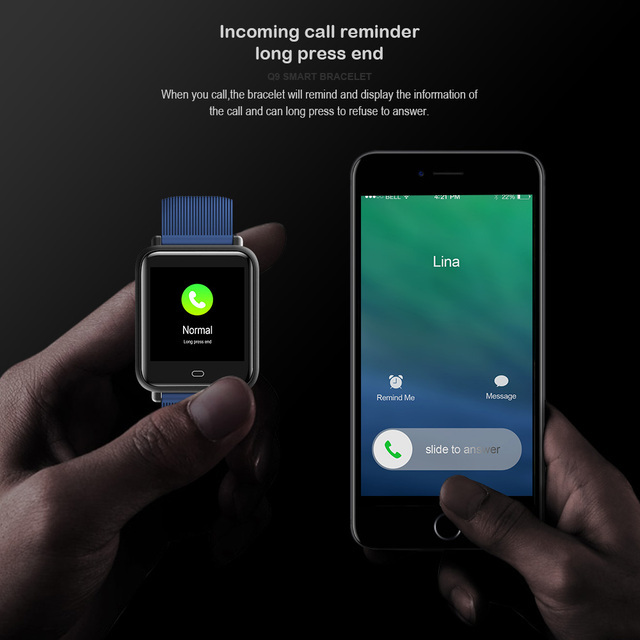 Incoming call remind, Drink water reminder, Alarm clock, Sedentary reminder, Find bracelet, Remote control camera.